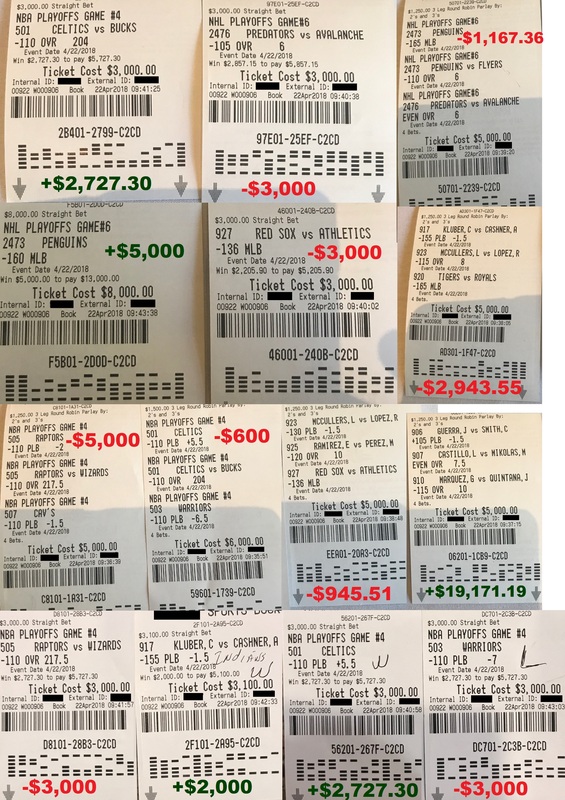 Today, I’ll recap to you my results after I wagered more than $400,000 on sports in the last 2 weeks. 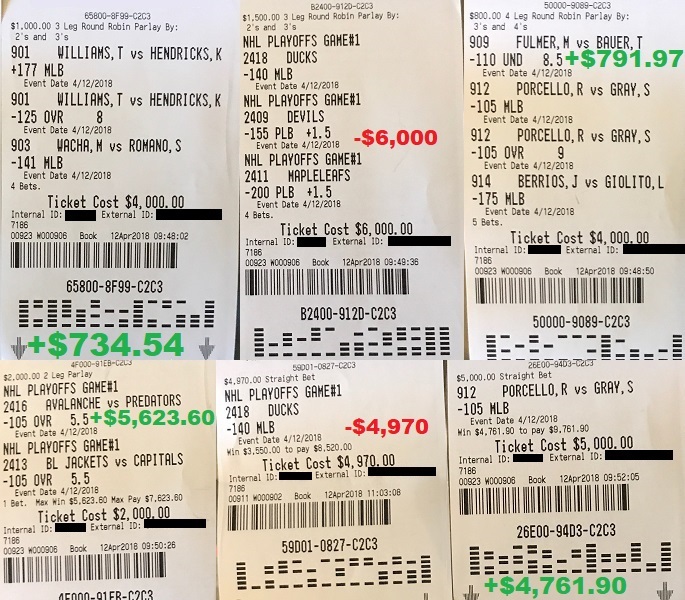 The winning streak has now extended to 14 days straight after yet another winning day yesterday where I wagered $60,100 on my picks and cashed out $69,069 at the end of the day. 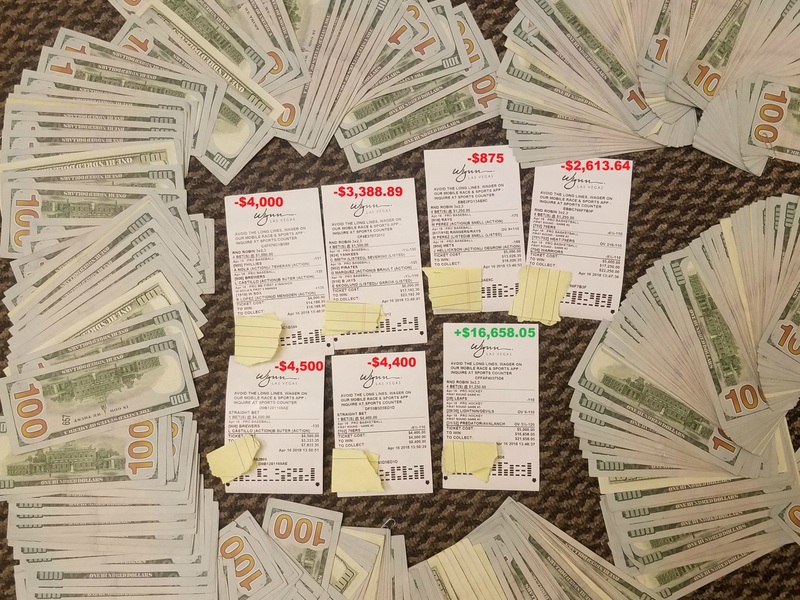 Add all that up: In the last 14 days, I’ve wagered a total of $404,470 on my picks, and ended up cashing out $487,160.37 for a winning profit of +$82,690.37. To most people, that’s a lot of money. But I remain very emotionally detached to these amounts. I don’t show much emotions from winning this kind of sum because I have done it so many times in the past that I’ve almost turned numb to it. Back in the Mirage days when I could accelerate to the highest limits, I’d win $100K or $200K in a day and still felt disappointed, especially when a key bet or two didn’t come though. So what you’ve seen in the last 2 weeks might be impressive, but I only consider it as the beginning. I want to make this clear to you that I’m not satisfied until I can show it to you in front of your eyes that I can win a million dollars off one winning streak from betting on sports. The whole goal here is to show it all to you, because showing you is far more convincing than just telling you. In an industry full of wheeler-dealers always talking a big game, few of them actually back it up with any action. I want to change this industry, to bring integrity, honesty, and transparency to a field that really needs it. 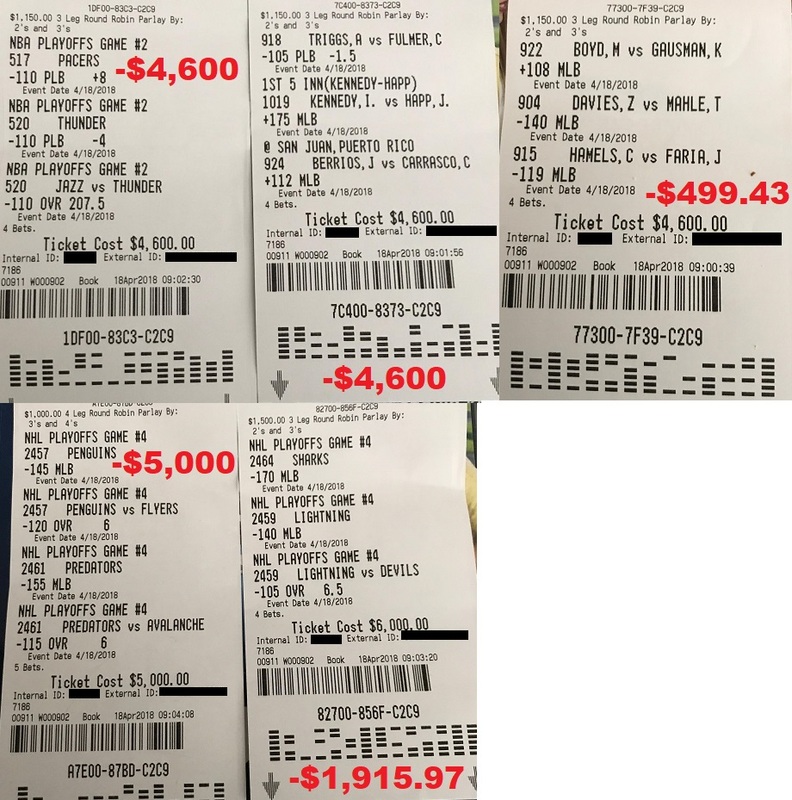 If a sports handicapper truly believes in his own picks, dare him to bet hundreds of thousands of dollars on those same games like the way you’re seeing I do week in and week out. So not only do I bet on my own picks, but I also bet big money at the highest level. 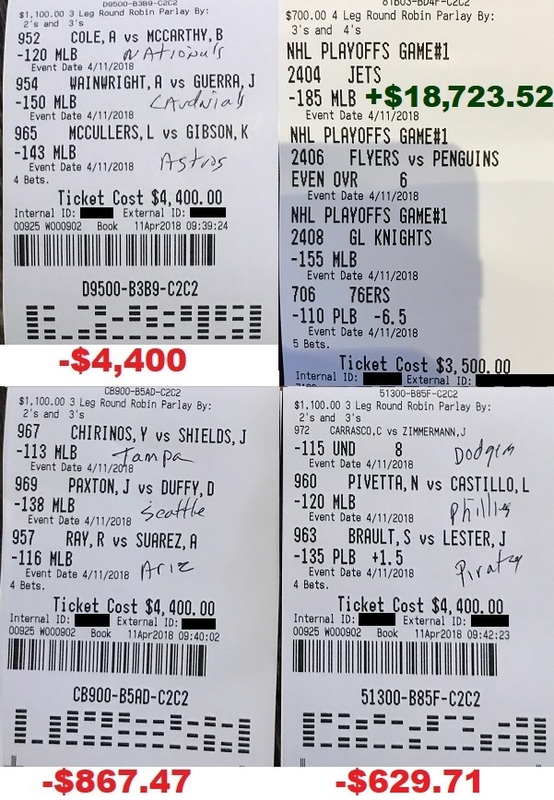 That’s important because it’s not just about whether a sports handicapper believes in his own plays enough to bet on them, it’s also about how much money he’s willing to put where his mouth is. 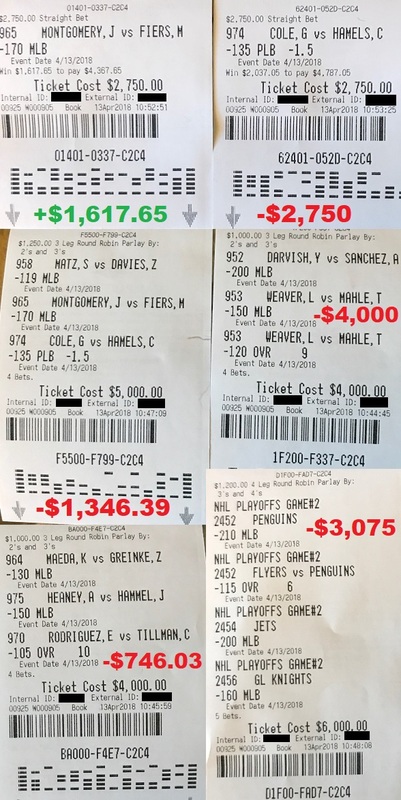 It’s rare, but some touts do bet on their own games. But most of them are betting no more than a few hundred bucks, or maybe once in a blue moon they might put down a couple thousands on a game. 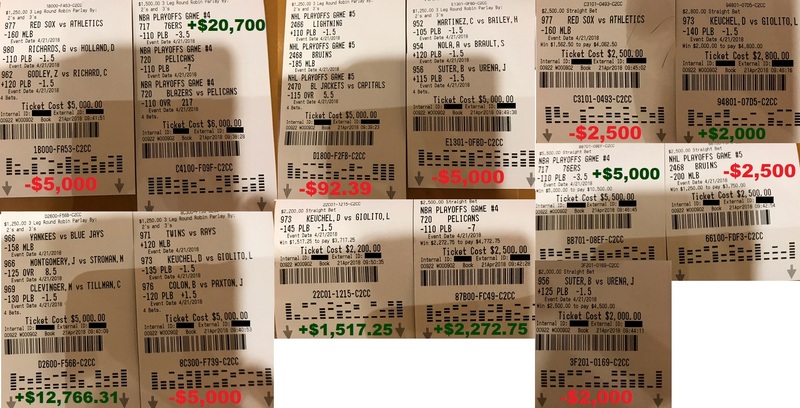 I consistently bet hundreds of thousands of dollars of my own money on my picks a week. 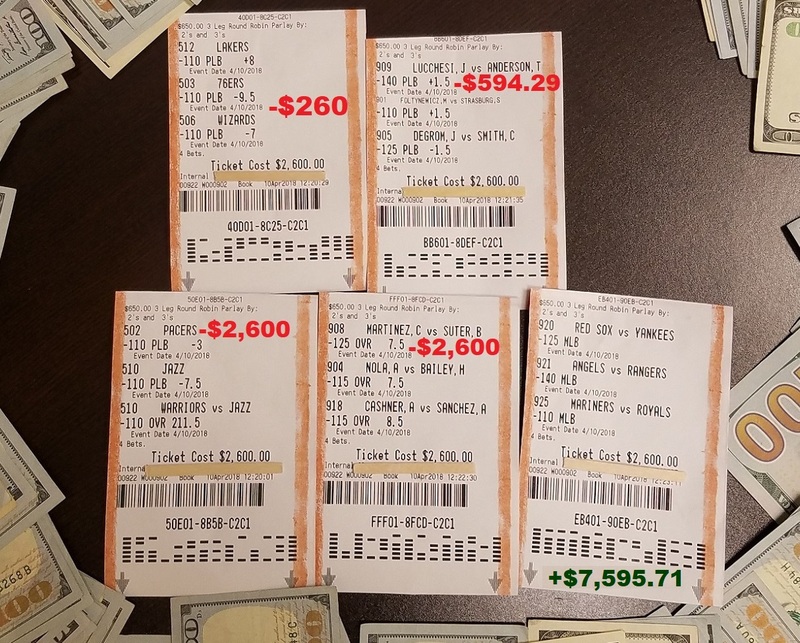 In the last 2 weeks alone, I have wagered over $400,000 and cashed out nearly half a million. That’s a big difference. If you’re going to follow someone, wouldn’t you want to follow someone who is successfully playing at the highest level? 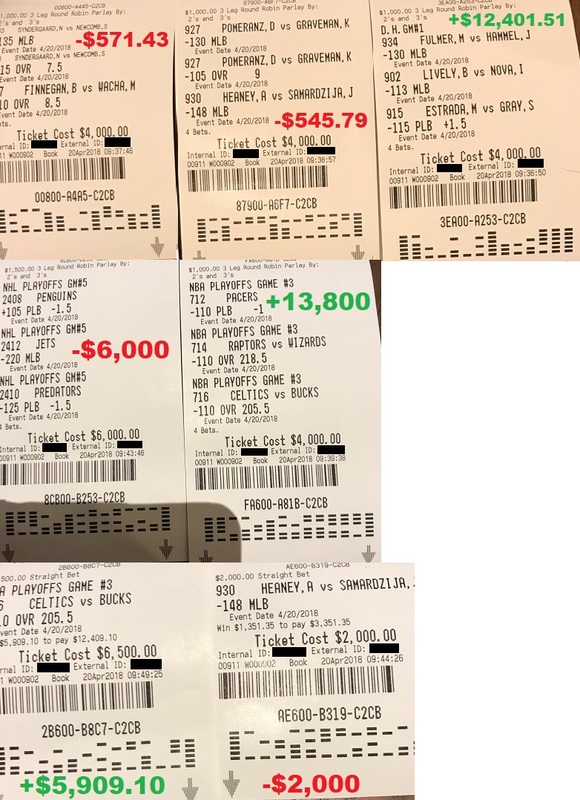 Other typical touts will give you their picks, and then sit back and tell you “good luck.” They win no matter what the outcome is because they already got your money. I do things differently. 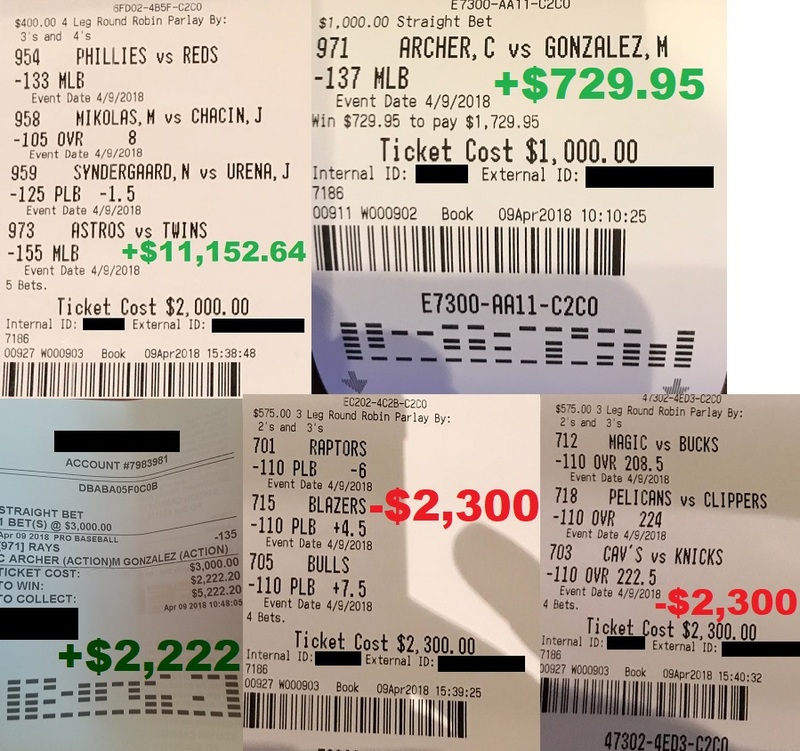 I go out and bet hundreds of thousands a week on my picks because I want you to be certain that once you’re a premium member, it’s impossible for me to win unless I can also help you win with me. 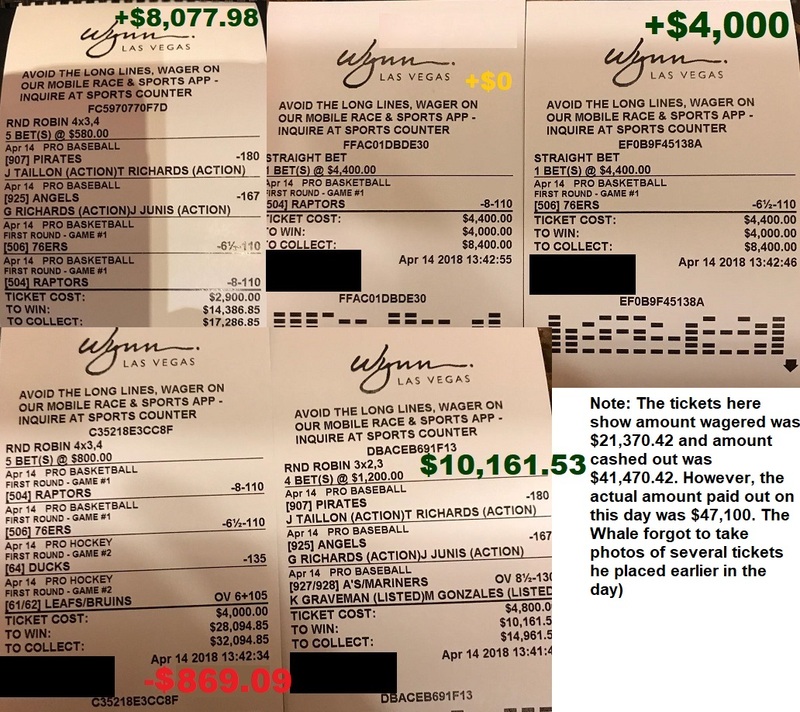 That’s why I’m not afraid to bet more than $60,000 in one single day yesterday on my picks. And you’ll see that in this week, I’m going to continue ramping up my action significantly. As you know, I don’t win the conventional way. My system is designed to ride out all the waves until the hot streaks hit. When that happens, I’d accelerate my bet sizes as hard as I can and win money more off one single good run than what others might make even up to a lifetime. Don’t just take my words for it either. Judge me based on my action. 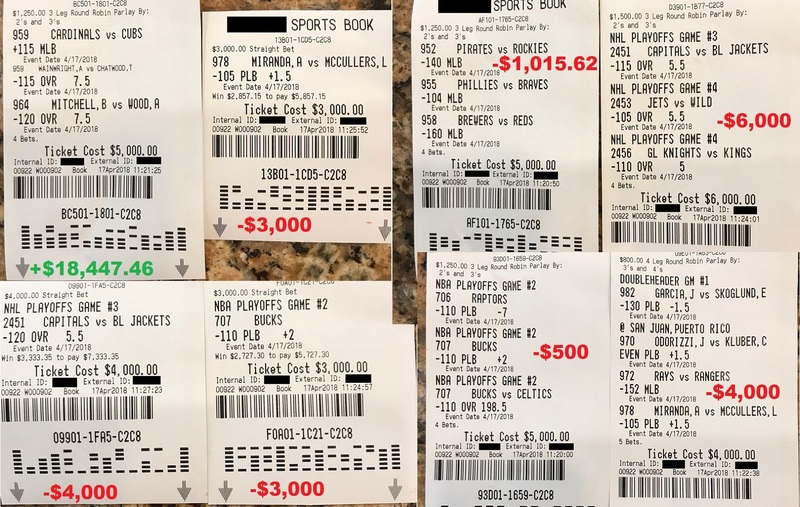 Starting today, I am putting into motion my plan to send a major sportsbook in Las Vegas a six-figure sum to set up a credit line to wager at max limits. 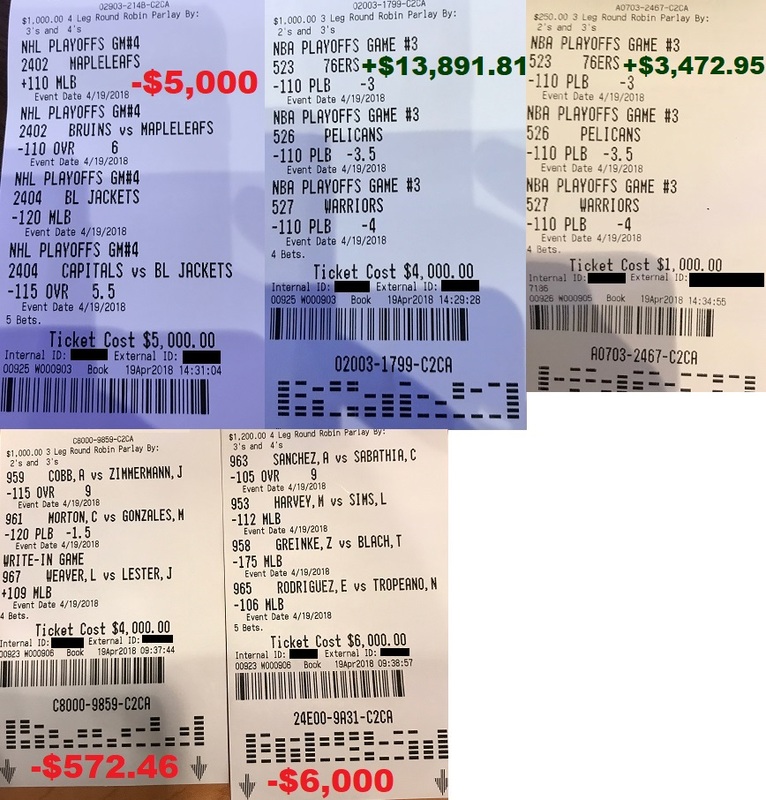 If all goes well, you’ll see me bet over $100,000 every day soon as I surge ahead on my grand mission to prove to you that I can win a million dollars in a month of betting on sports.